Honda's Tomo EV, a concept model designed by graduate students from the IED, will be on display at the Geneva Motor Show. Designed in part by Master of Transportation Design students from Italy's Istituto Europeo di Design, the Honda Tomo EV that's expected to go on display at the Geneva Motor Show represents the compact, smart EVs of Honda's future, according to the institution. In January, the Istituto Europeo di Design (IED) in Turin, Italy, announced that about a dozen of their graduate design students were partnering with Honda to create what turned into the zero emissions-producing Tomo concept car, whose name means "friend." Since this was announced last month, all we've known about the project -- which is part of the Master in Transportation Design graduate students' theses -- is that the model will be a compact electric vehicle that will be on display at the Geneva Motor Show, March 7-17. On Tuesday, the institution provided a few more details about the concept and even a few sketches of the cute city companion that will debut beside Honda's Urban EV prototype that's expected to go in production this year. Based on the sketches, it looks to fit in well beside Honda's other latest EV concepts including that Urban EV and the Sports EV with its smooth, curved futuristic lines and light-dark exterior color scheme. 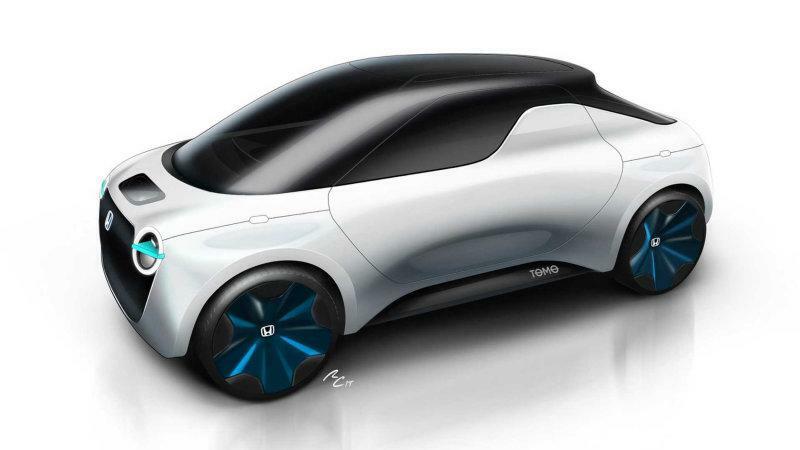 The Tomo is only the latest of concepts that Honda has created with students from the IED. In fact, this will be the 15th thesis concept vehicle produced. According to the school, Honda asked 13 students to design what they felt "Honda next 'fun' driving" means for the six years through 2025. While this model is simply a design exercise, there's no doubt that it looks natural beside Honda's other concepts. Maybe when it debuts in early March, it will be the design inspiration for the company's next line of EVs.